Thank you for contacting The State Press, ASU's student-run, independent news organization since 1890. Get in touch on Facebook, Twitter or Instagram. For the fastest response, we encourage you to Facebook message or email. To submit a letter to the editor, please email execed.statepress@gmail.com. 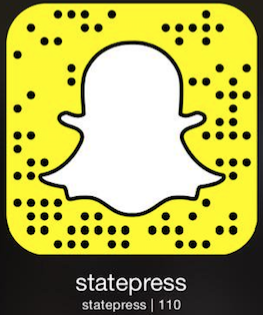 To submit story ideas, general comments, tips or requests for correction, please email editor.statepress@gmail.com. Visit The State Press Masthead to find contact information for the editorial board. Please contact ASU Student Media Advertising and Creative Services directly for commercial requests.